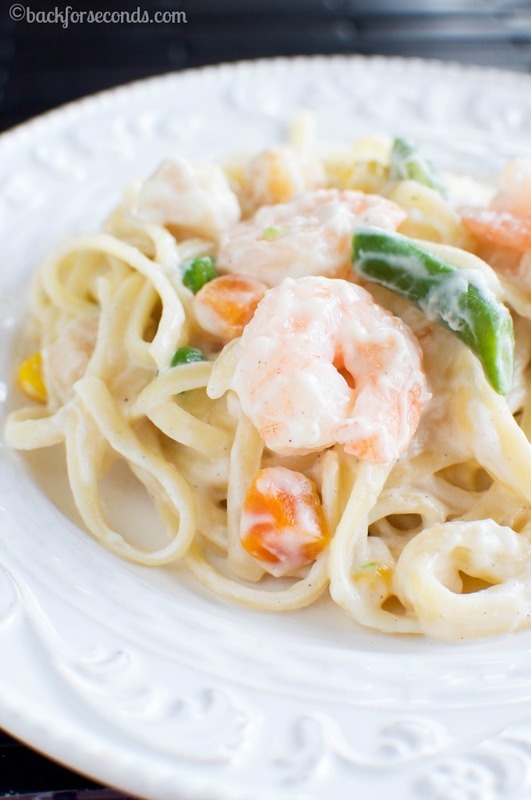 Seafood Primavera made with chemical free shrimp and scallops, fresh spring vegetables, tossed with pasta in a rich, flavorful cream sauce. This is a sponsored conversation written by me on behalf of Michael Angelo’s . The opinions and text are all mine. Ahhh pasta. The comfort food we crave – especially now that the weather is starting to cool off. 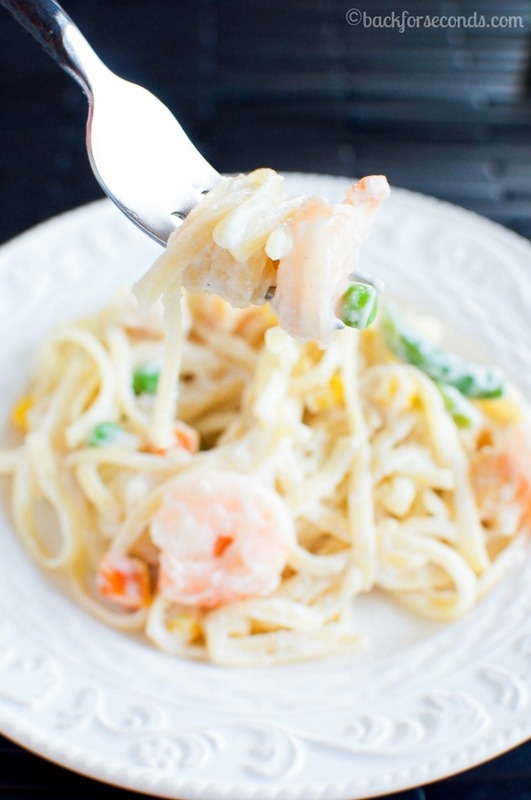 We are big seafood lovers here as well, so naturally, this seafood primavera was an instant hit with my family. The creamy sauce totally sealed the deal! One of the biggest perks of my job is when I get to work with brands that I love. 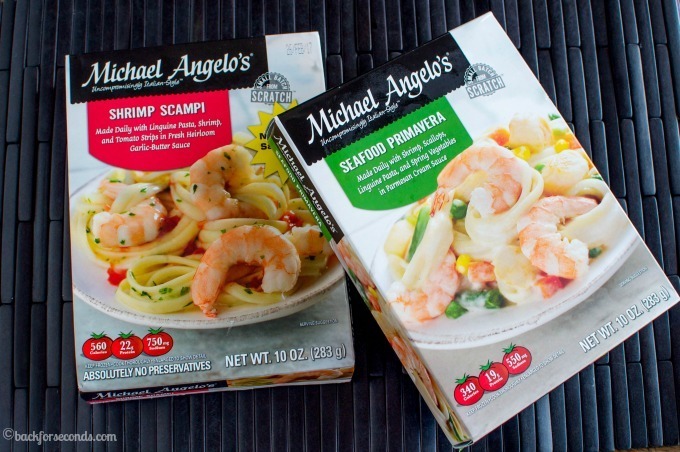 Today, I am so excited to share Michael Angelo’s™ Seafood line with you all. These meals are heads and shoulders above any other that I have tried. And it’s no wonder. The indgredient’s are real, fresh, chemical free, no preservatives and nothing artificial. I’m not even kidding, they taste like homemade. Michael Angelo and his mom Sara are extremely proud of their meals, using only real ingredients you can recognize and understand when you read the ingredient label. 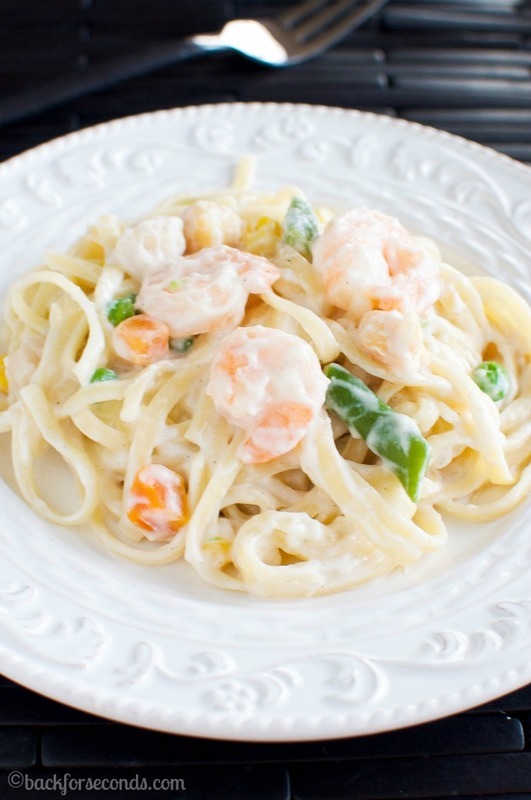 We tried both the Seafood Primavera and Shrimp Scampi and all of us really enjoyed them both! They are like something you would order from a restaurant! 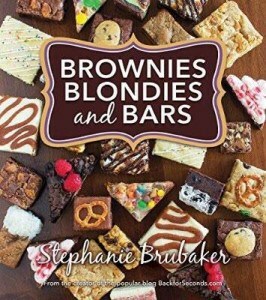 Other flavors include Michael Angelo’s Shrimp & Kale Piccata and Salmon Piccata. I hate to say it this way, but I was surprised at how much I liked these meals. 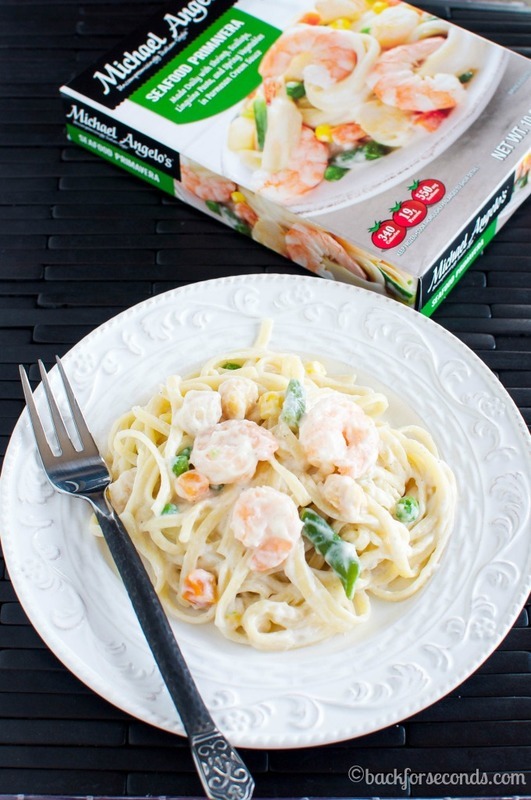 Shopping in the frozen foods section can be very hit or miss, but you can purchase these Michael Angelo’s New seafood Meals with confidence at your local Walmart, Publix, or Kroger’s because the quality is top notch and the flavor is honestly delicious! That’s why I’m sharing these meals with you today. It’s hard making home cooked meals from scratch 3 meals a day, 7 days a week. No matter how much I love to cook, we all need a break sometimes. This is an excellent option for those times you either don’t want to cook, or don’t have the time. You will not have to sacrifice flavor or quality, and if your family is anything like min, they are going to love these meals! So check them out next time you’re at the grocery store, and save yourself some stress on hectic days. 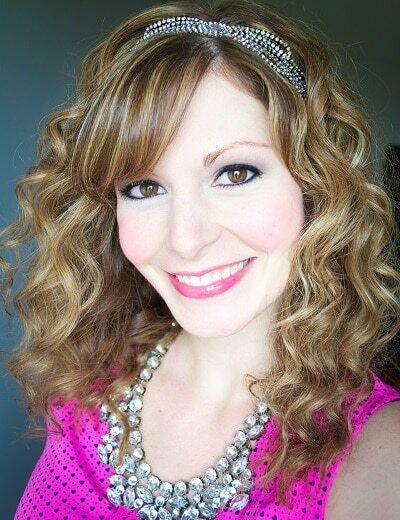 Keep up with the latest from on their Michael Angelo’s Facebook page! I SO need to check out this brand! Yum! I could totally send my husband to work with these for lunch! He’d absolutely love them!